Superweeds have been in been in the news a lot over the last few months. Most of the recent coverage has been related to new 2,4-D resistant crops that were recently approved by the USDA and the new herbicide formulation (2,4-D plus glyphosate) that the EPA is reviewing. Marc Brazeau recently wrote a compelling piece arguing that our focus on superweeds in GMO crops draws attention away from solutions that could really help make modern agriculture more sustainable. I’ve written about various aspects of so-called superweeds before, several times. 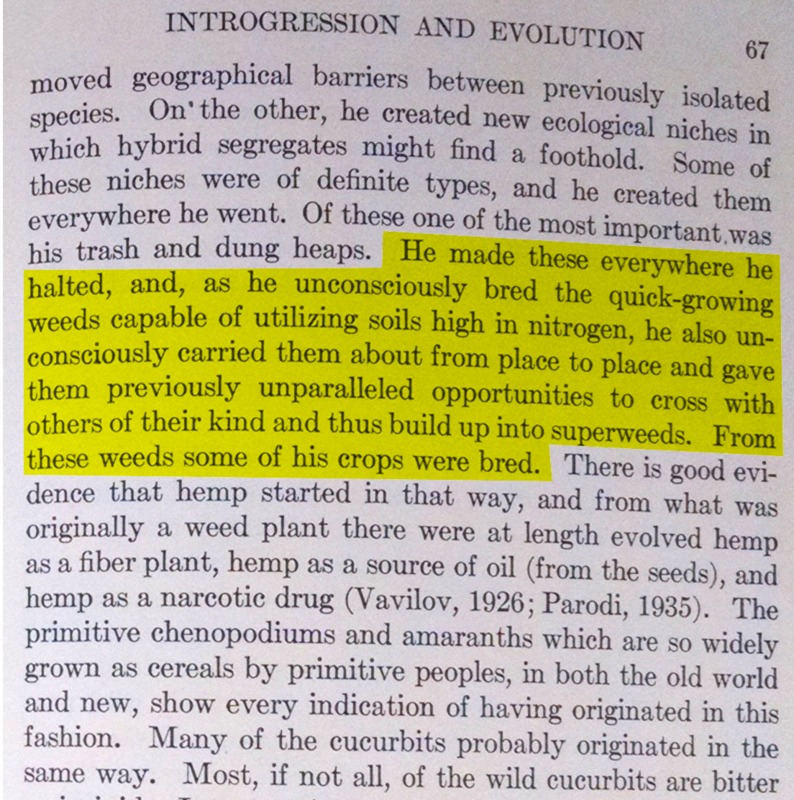 In one of my earlier posts on superweeds, I mentioned that the term frustrates many scientists, in large part because there is no agreed-upon definition. @WyoWeeds My “blink” reaction was weeds that are adapting to be more invasive. @WyoWeeds I think of bindweed, easy to burn back but hard to eradicate from your field. 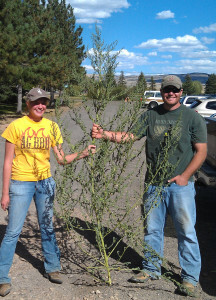 Common lambsquarters can produce up to 300,000 seeds per plant and grow over 7 feet tall. This one is from Wyoming. Sometimes, these mutations allow the plant to survive a particular herbicide. 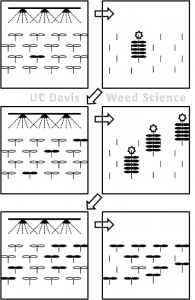 Herbicides don’t actually cause the mutations, but repeated application of herbicide preferentially selects for those plants that can survive. As Bill Price recently said “There are biotypes out there resistant to control measures we haven’t even invented yet.” But we’ll eventually find them.